Posted on March 11, 2018 | Comments Off on When is a painting finished? Sometimes when I’m working on a painting, it just seems to paint itself. I have a clear vision of what I want and it all comes together. Other times, not. I may think I’m finished, then when I go back into the studio, I see a glaring mistake. Or something I was attempting didn’t quite turn out the way I wanted. 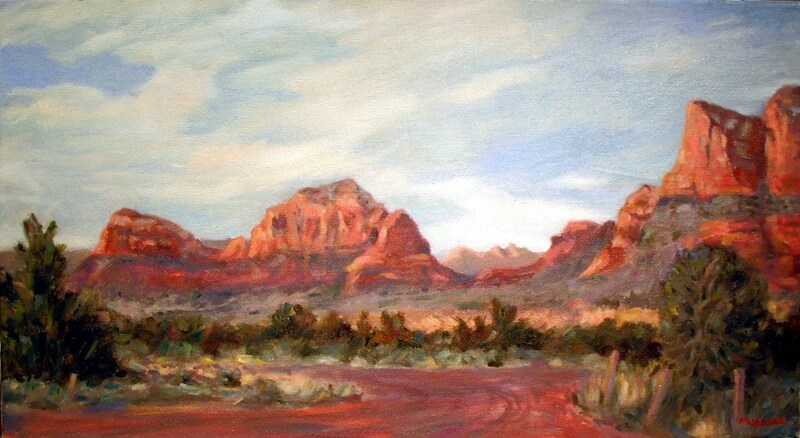 This is a painting of the Grand Canyon from the South Rim. I was particularly attracted to the play of the cloud shadows across the scene. 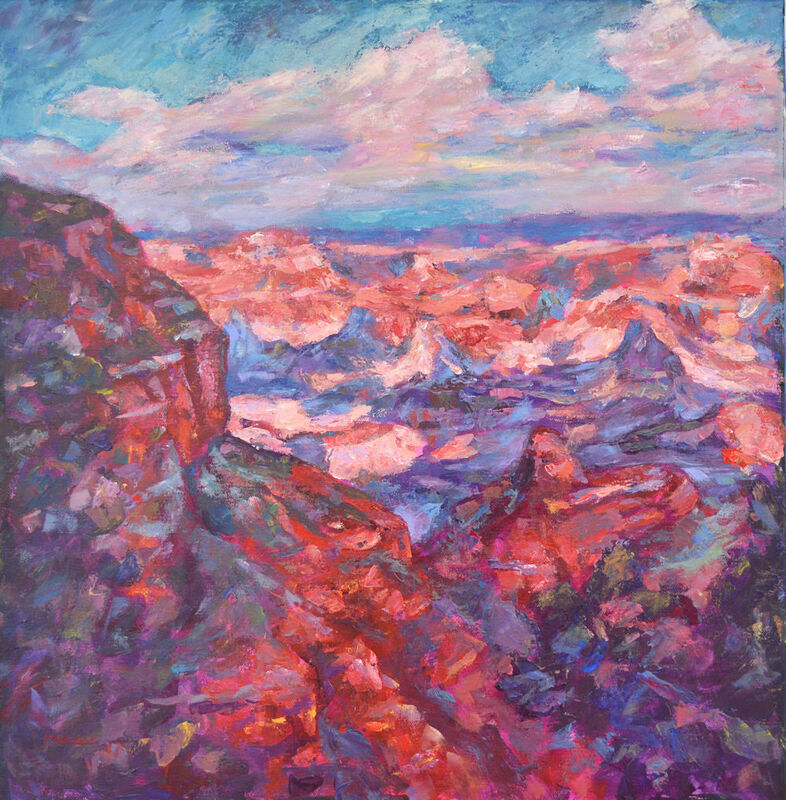 The Canyon has such beautiful colors which change constantly throughout the day and the seasons, that it’s difficult to catch just the right time and color. Sometimes I get some part of the painting which becomes “too precious”, meaning that I like it and tend to paint around it, but it throws off the rest of the composition. 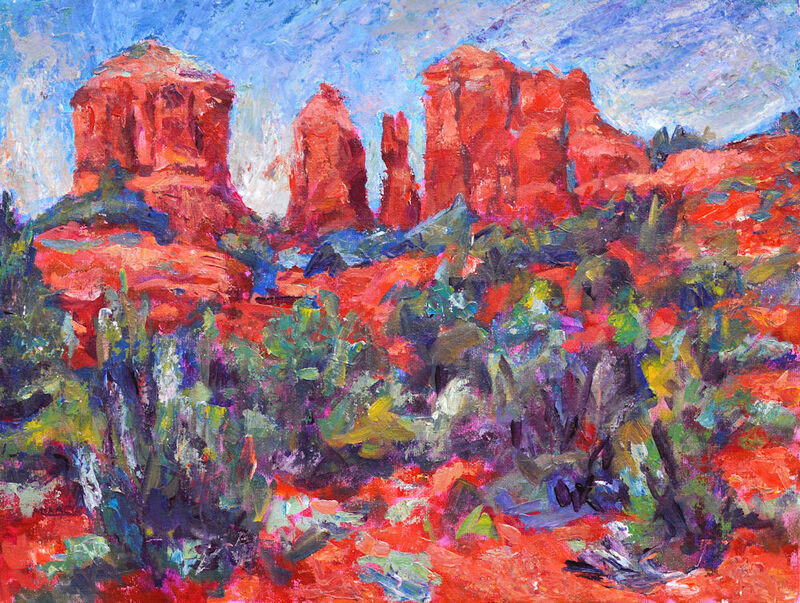 This particular painting was created with the limited palette that I mentioned in my last post but took me far longer than some of my other recent paintings. In fact, I painted some other paintings and then came back to this one. Still not sure it’s finished. What are your thoughts? Comments Off on When is a painting finished? Posted on March 2, 2014 | Comments Off on Real or illusion? Many years ago I read that when Andrew Wyeth was complimented on the realism of his paintings that he responded, “All realistic art is an optical illusion. You’re taking paint, applying it to a two-dimensional surface and tricking the eye into believing that they’re seeing a real object.” Although this didn’t quite sink in at the time, over the years I’ve come to understand what he was saying. While I admire artists who have the tenacity to paint every little hair on a rabbit, I really wonder why they are doing that. 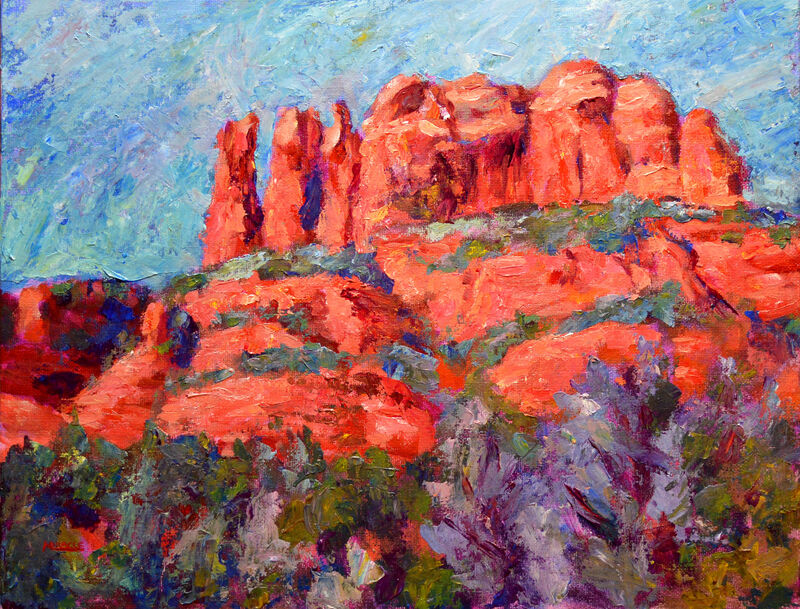 Isn’t the entire object of the painting to convey the mood and feeling of the artist? Personally I believe in letting the viewer become part of the painting by bringing their own knowledge and imagination to the work. The hard edges certainly define some critical points, but soft edges let one area slide into another, creating a cohesiveness that cannot be obtained photo realism. My personal opinion, anyway. 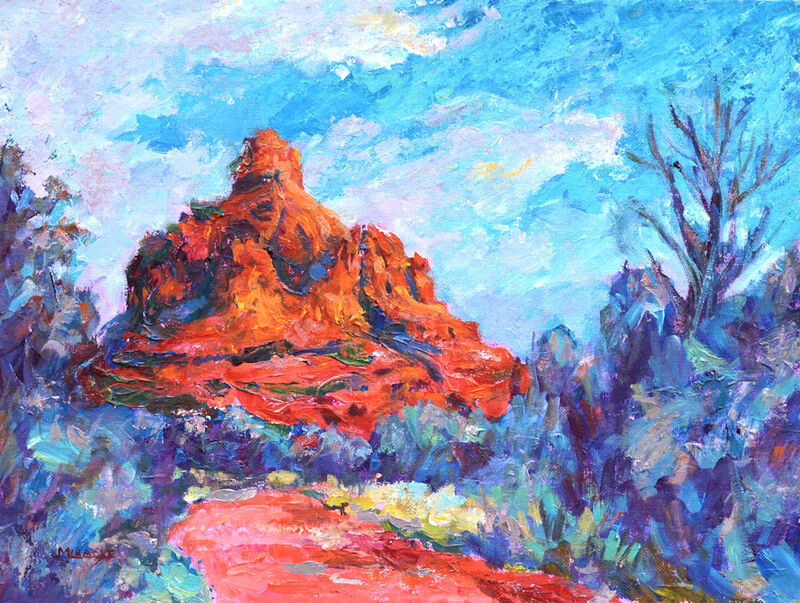 Go back and look at some of the original paintings that I’ve posted on here – Lucky Red, Grand Canyon at Moran Point, and Blue Bottles with Lemons. Then look at these close-up. 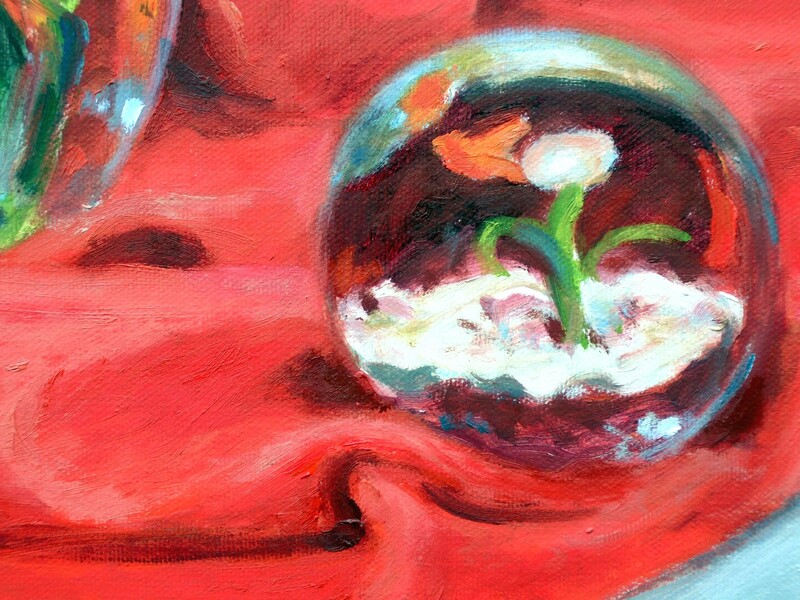 Detail – Lucky Red. 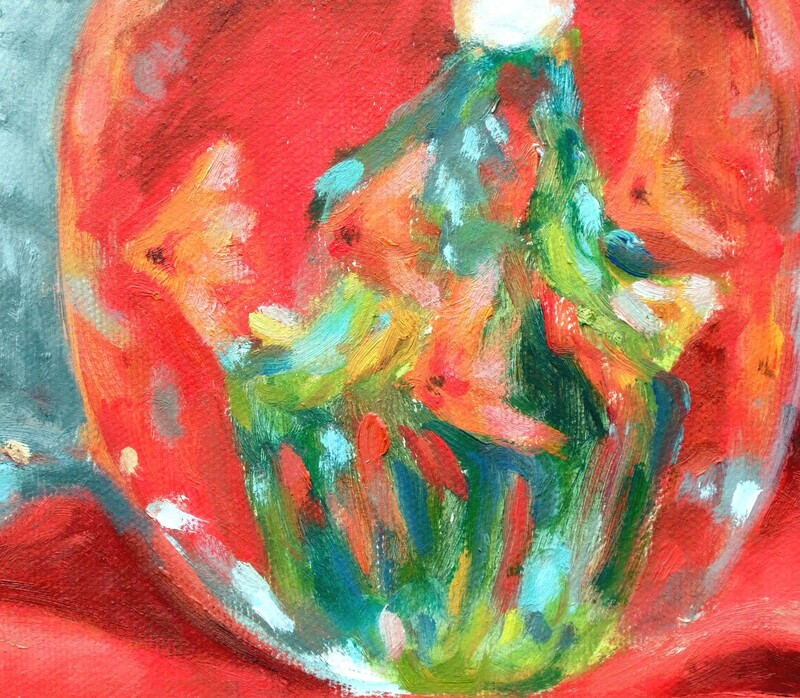 Notice how abstractly the fish and seaweed are painted in this glass paperweight. 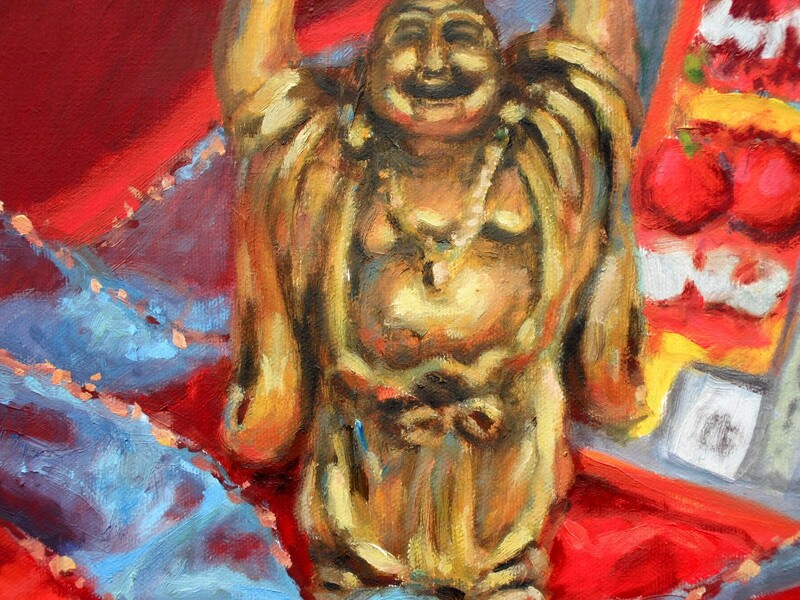 The golden Buddha is also painted very loosely. Notice the sparkles of the ribbon, too. 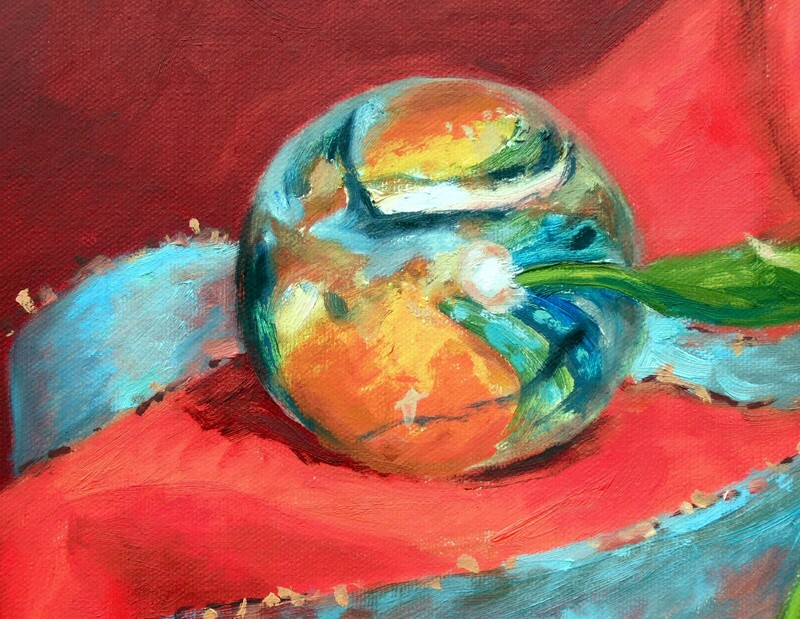 This Mediterranean glass paperweight is a mash of swirling colors. Again, the sparkles on the blue ribbon. Notice the lost edges of this paperweight blending into the folds of the cloth. 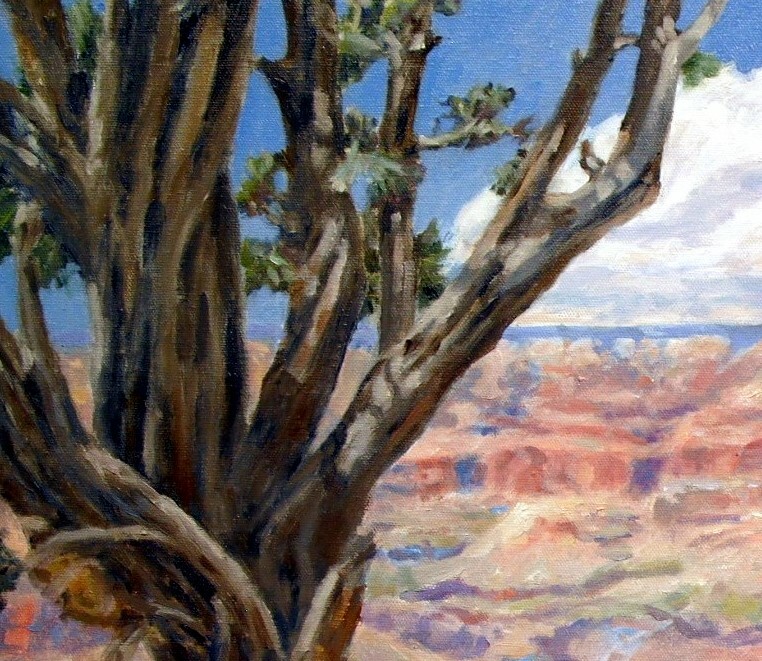 This tree in Grand Canyon at Moran Point is very loosely painted when viewed in detail. 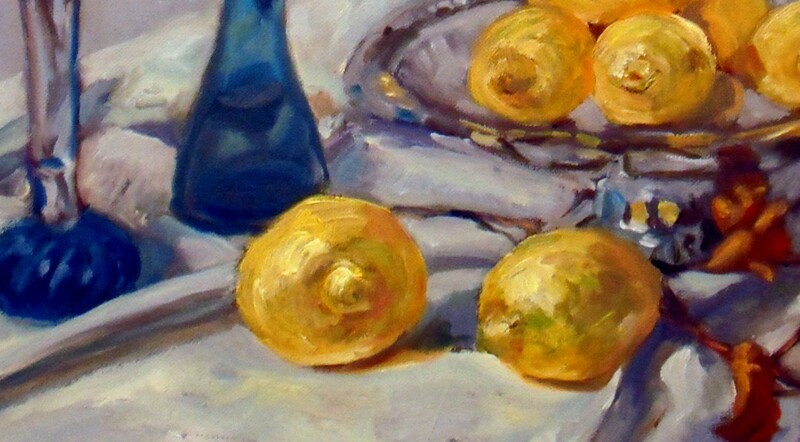 Again, the viewer’s eye is blending the colors in this yellow lemon. Comments Off on Real or illusion?